When you decide that it is time for a new laptop computer, you may have no idea where to begin. There are hundreds of options available, and choosing the right one is important. One of the top factors involved in picking out a new laptop is price, and another top factor is the purpose for the computer. The price of the computer is important. You must determine how much you are willing to spend on a new device and begin looking at the options available within this price range. Laptops are available for as little as $400, but they can also cost thousands of dollars. The purpose of the computer is also important. 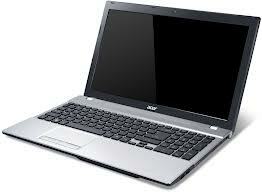 For example, a student may need a computer that is different from a businessman who uses it for travel purposes. The purpose of the computer will determine what types of specifications you should look for. Students need a computer that is portable because they will carry it around a lot. Portable computers are generally smaller than other types, but they are usually on the low side when it comes to prices. Students may not need a lot of storage space, but they should look for a laptop that has at least 1 GB of RAM and 160 GB of hard drive space. Business workers often need a laptop that can operate the programs they need to access while they are traveling. They may also need a device that is sturdier and has a faster processor. Those using the laptop for business purposes while traveling often go for a smaller laptop that has at least 160 GB of storage space. People that are purchasing a laptop simply for gaming purposes also have requirements for the type of computer they will need. To play games on a device, you will need a laptop with a very powerful processor and one that has great graphics. Gamer may look for laptop with a larger screen that is around 17-inches and that features a lot of storage space. Of course there are many other things to consider as well. One of these things is the brand. Some people will only purchase a specific brand because that is what they like and that is what they are use to. You can read reviews online about the top brands of laptops, and you can use this information to help you decide. This will hopefully help you make that big decision on how to choose the best laptop computer for the lowest price. Virginia Cunningham is a social media blogger based in Southern California. She spends her time blogging about gadgets, technology and id security while getting a suntan.